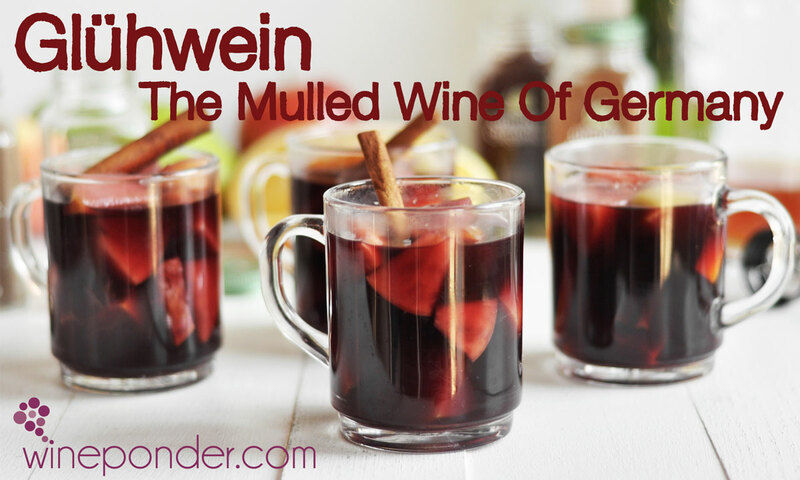 First, a little historical context about glühwein, more commonly known as mulled wine. Heated and spiced wine started in Rome during the 2nd century. The Romans travelled all across Europe doing their traditional “Veni, Vidi, Vici” skit, but they didn’t come empty handed. The legions graciously brought wine and viticulture with them up to the Rhine and Danube rivers and to the Scottish border bringing their recipes with them. It has become a traditional beverage that is offered during the Christmas holidays. Not too surprisingly, recipes have changed slightly through the years. Locals have adapted the warm drink to their own likings, and we can only be thankful for that… Because when wine speaks for a region, for a culture, it always tastes better. So let’s shift our focus to glühwein, the mulled wine of Germany. The setting was just about perfect. Four people enjoying a beautiful nightfall over the Southern California coast on a crisp winter day. The fading sun shined for a few more seconds before disappearing behind the surrounding mountains, and allowing the temperatures to drop significantly. It was time for a cozy bonfire and a warm drink. Though glühwein is the mulled wine of Germany, the literal translation is “glow wine”; and that all makes perfect sense. At sundown, a more active scenery took place. 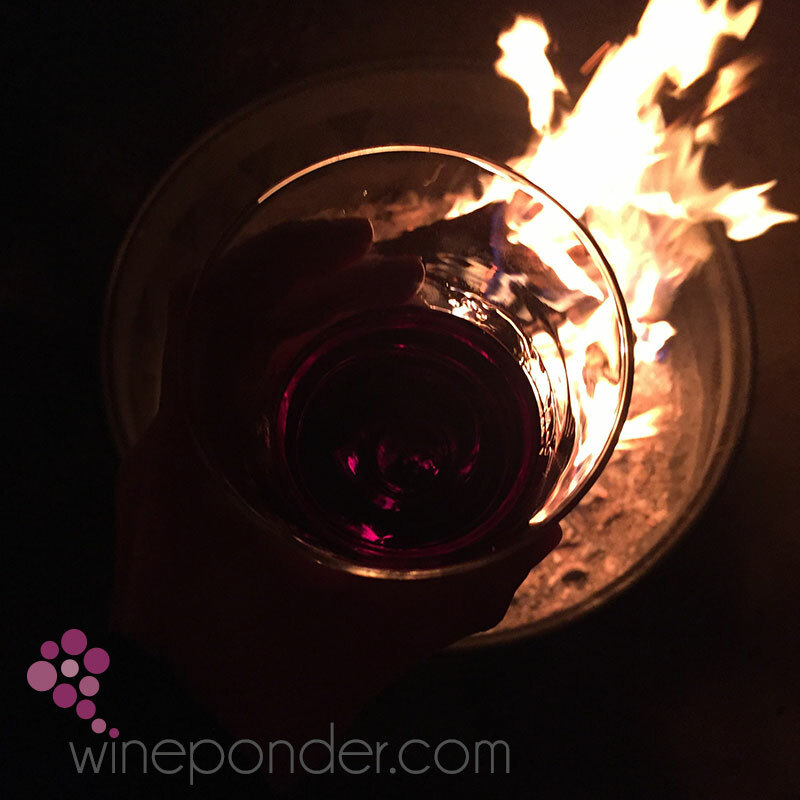 The fire was being lit, mulled wine mugs rustled up, and red wine poured into a slow cooker. The preparation didn’t take much time but the cooking… Well let’s just say that it is well worth the wait. After a few sips of this hot brew of spices, sugar, citrus, wine, and booze, we all had new energy to push on through the chilly night. One simple word: S’goooooooood! Your ideal mulling wine is an inexpensive, inoffensive, young merlot, burgundy, petite syrah, tempranillo, beaujolais, or other “middle-of-the-road” blend, maybe slightly on the sweet side. Certainly if you spend more than $10 a bottle, you’ve spent too much. 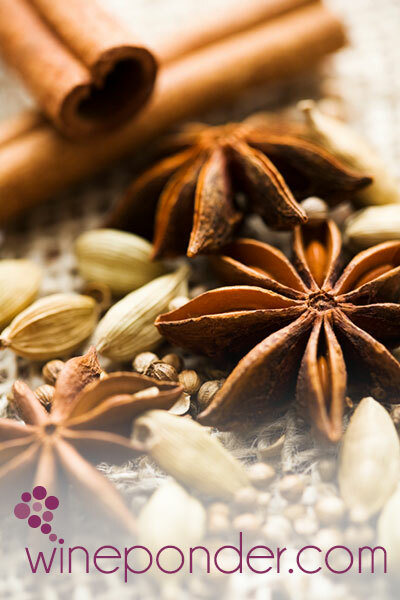 The spices – Cinnamon sticks, cloves, cardamom and star anise. Add-ons – citrus, almonds, sugar and at times vanilla pods. The kicker – Some amaretto, rum, brandy or even Grand-Marnier for the fancy-schmancy. Using a vegetable peeler, peel 2 oranges and 2 lemons avoiding the white pith; place the zest in a slow cooker or crockpot. For faster cooking, you can use a saucepan or cast iron pot, but I do recommend the slower cooking method to allow the spices plenty of time to infuse into the wine. Juice the oranges and the lemons and add to the slow cooker. Add 15 almonds, 10 whole cloves, 5 cardamom pods, 1 star anise pods and 1 cinnamon stick. Add 1 cup of sugar and a splash of the wine. Turn on the slow cooker, and bring to a simmer, stirring to dissolve the sugar. Keep stirring until the mixture is reduced by about one-third. At this point, you may pour the rest of the wine (2 bottles / 150cl) and half a cup of Amaretto. Slice up another orange and throw it in there unpeeled. Place the lid on the slow cooker and let it be for about an hour. Note: Be careful not to add too much sugar! Since the wine is heated, it will develop some sweetness on its own. Dry wines will soften up but sweet wines can become cloying. So add sugar very sparingly. Less is more! Mulled wine isn’t just a European tradition. It can be found all over the world. While doing some research on the internet, I conveniently came across an article that lists various countries where “hot wine” is hot indeed. In Bosnia and Herzegovina, Croatia, Montenegro, Slovenia and Serbia, they call it kuhano vino or kuvano vino which means “cooked wine”. In the south of Brazil, where a large amount of European descendants live, it is called quentão, which means “big hot one”. In Bulgaria, the locals refer to it as greyano vino, which translates to “heated wine”. 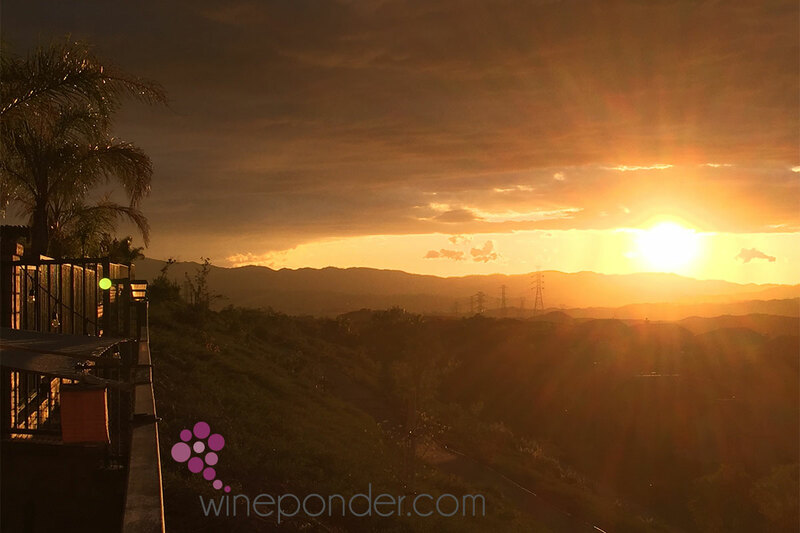 In Chile, it is called candola in the south and vino navega’o in the north. 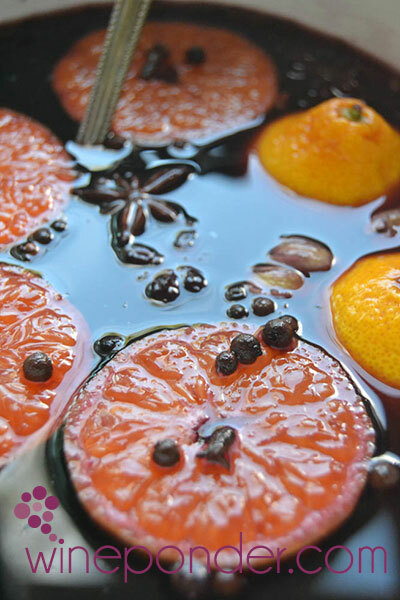 In the Czech Republic, mulled wine is called svařené víno, which means “boiled wine”; colloquially svařák. In France, French people call it vin chaud, which means “hot wine”. In Hungary, they drink forralt bor, which means “boiled wine”. 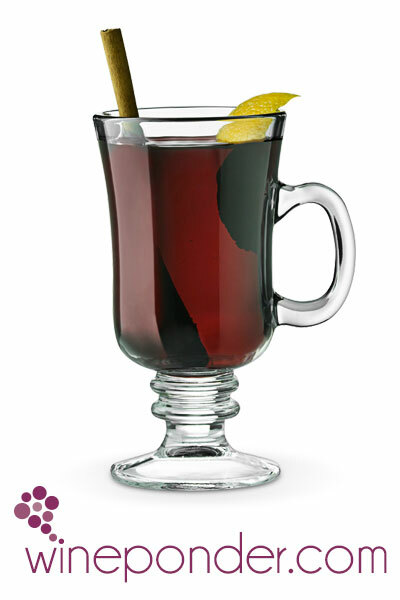 In Italy, mulled wine is typical in the northern part of the country and is called vin brûlé, French for “burnt wine”. In Latvia, it is called karstvīns, which means “hot wine”. In Republic of Macedonia, it is called vareno vino, Macedonian for “boiled wine” or greeno vino which means “heated wine”. In the Netherlands, the drink is known as bisschopswijn (literally “bishop’s wine”). Bisschopswijn is drunk during the Sinterklaas holidays. In Poland, they enjoy grzane wino, which means “heated wine”. In Portugal, it is called vinho quente and it means “warm wine”. In the Porto region, porto quente is more popular, and it is made using port wine of course. In Romania, it is called vin fiert, which means “boiled wine”. In Russia, glintwein is a popular drink during the winter season, and uses the same recipe as the German glühwein. In Turkey, it is called sicak sarap, which means “hot wine”, and can be made using sweet red wine. In Quebec, red wine is mixed with maple syrup and hard liquor. The drink is called Caribou. Keep in mind that this drink will sneak up on you. It is very easy to drink a lot of it, simply because it is so good, sweet, warm and cuddly. So make sure to drink with moderation… Or not! One thing is for sure, that drink is perfect for the upcoming holidays. So if you’re going to try it, please tell us how it turns out. Remember, glühwein is only as good as the people with whom it is being shared… and it pairs best with German friends.